Fundraising Software 1: How Do You Evaluate Your Fundraising System? Fundraising Software Seminar 2: How Do You Identify What Your Organization Needs? Fundraising Software Seminar 3: How Do You Manage the Demo Process? Fundraising Software Seminar 4: How do You Plan for Implementation? How Do You Evaluate Your Fundraising System? How Do You Identify What Your Organization Needs? How Do You Manage the Demo Process? Fundraising Software 4: How Do You Plan for Implementation? A resident of Cape Cod MA, Maureen started her nonprofit career at Planned Parenthood of Connecticut, rising from counselor to eBusiness Director over a seventeen-year tenure. In 2008, along with several business partners, she opened the doors to Firefly Partners, a creative digital agency for nonprofits. Maureen has worked with hundreds of organizations across every mission and vertical, including Be The Match, UNICEF USA, Anera, Tufts Medical Center, New Hampshire Public Radio, and the American Kidney Fund. After a decade spent leading the charge at Firefly, Maureen realized that most nonprofit ‘accidental techie’ staff are feeling overburdened and underserved by the systems and software they use to engage supporters. They aren’t confident in their ability to buy and use the right platforms. And she knew exactly how to help them. She is now a solo consultant, providing solutions and support to nonprofit staff who are struggling to solve their nagging technology problems. In addition to her work with clients, Maureen has authored two guides on nonprofit engagement software, blogs at her website, and is a regular contributor to nonprofit industry media channels. She has led dozens of workshops around the country at AFP conferences, bbcon, and Bridge, and is one of Idealware’s expert trainers. Laura Kindsvater is TechSoup's editor. She has more than 10 years of experience working as an editor, trained at UC Berkeley as a professional editor, and worked for nonprofits of varying sizes for many years. Laura's also worked as a graphic designer for a small nonprofit and has a fascination for visual communication, including graphic design, data visualization, and mapping. She has experience in nonprofit communications including websites, print collateral, and email marketing, and is very interested in helping nonprofits get better at communicating so they can better support their missions. She's got a passion and a determination to make the world a better place and is excited to help TechSoup make technology more accessible and easier to use for nonprofits all over the globe. After studying journalism and comparative religion at Cal Poly, San Luis Obispo, Ale Bezdikian was given a fellowship with Mother Jones Magazine to make videos for the web. In her current role at TechSoup, Ale creates videos for marketing, education and social media, as well as manages the annual storytelling campaign, Storymakers. She has particular interests in digital storytelling, research in accessible and augmentative technology, and contributing to local community on and offline. 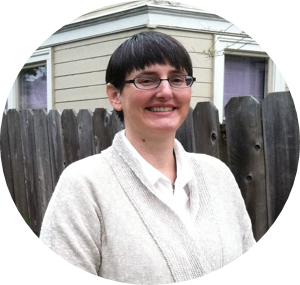 Susan is training and education manager at TechSoup Global where she facilitates webinars and works to create engaging and exciting online trainings for nonprofits and libraries. Prior to joining TechSoup, Susan managed and delivered training programs for the American Red Cross and libraries.